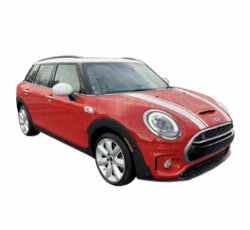 For the drivers who need more space than the 2019 MINI Hardtop can provide, MINI offers the larger Clubman hatchback. It delivers a better balance of practicality and fun. There’s also just enough modern technology inside the Clubman to keep drivers satisfied. While all Clubman models have a sporty feel, the John Cooper Works model is the choice among serious driving enthusiasts. However, prices are a bit higher than normal. Should you give this boxy hatchback a chance? This year, MINI rearranged the available Clubman trims. In terms of the car’s drivetrain and available features, very little has changed. A turbocharged three-cylinder engine comes standard on the 2019 MINI Clubman Cooper. While its 134-horsepower production is adequate, don’t hesitate to step up to the more potent Cooper S model. It comes equipped with a turbocharged four-cylinder, which develops 189 horsepower and significantly more torque. When scooting around town, you’ll appreciate the Cooper S model’s zippy performance. A combined fuel economy rating of 27 mpg makes it only slightly less economical than the less powerful base model. Drivers seeking the performance of a miniature hot rod should choose the John Cooper Works model. It’s motivated by an even more potent turbocharged four-cylinder, which unleashes 228 ponies. A tested 0-60 time of 6.1 seconds makes it a bit quicker than the equally sporty 2019 Ford Fiesta ST. Aside from exciting drivers with its brisk acceleration, the John Cooper Works model also benefits from performance-tuned shocks. The 2019 MINI Clubman is not quite as athletic as the smaller and lighter MINI Hardtop. Nevertheless, it’s still very nimble. This small car never feels loose and unstable. Upon tossing the Clubman around a curve, you’ll immediately notice its agile nature. Drivers also like the Clubman’s sporty steering feel. If you want to fine-tune the car’s ride, opt for the adaptive suspension dampers. Run-flat summer tires also aid the Clubman's responsive driving dynamics. MINI’s most beloved styling cues haven’t changed much over the past 50 years. The 2019 MINI Clubman looks like a stretched version of the more compact MINI Hardtop. Their headlamps and hood are virtually identical. Dual exhaust tips and a hood scoop come equipped on the more performance-focused models. A rear spoiler is available as well. You can even give the Clubman a personal touch by adding options like racing stripes and unique wheels. Several attention-getting colors are offered, including British Racing Green and Digital Blue. Front-wheel drive is standard on the 2019 MINI Clubman. However, all-wheel drive is found on the Cooper All4 Clubman. This is definitely the best model for the folks living in the Snowbelt. Although you’ll have to give up a few miles per gallon, it’s well worth the all-weather traction. Whether you’re driving along a snow-filled country road or traveling on an icy highway, you will have an extra peace of mind. In comparison to the MINI Hardtop, the 2019 MINI Clubman is a lot friendlier towards families. The extra passenger space is definitely a major perk. Folks sitting in the back will enjoy a far more comfortable ride. Because of the Clubman’s boxy roof, there’s plenty of headroom to go around. Families can also take full advantage of the Clubman’s 17.5 cubic feet of cargo space. Optional roof rails allow you to carry even more stuff. 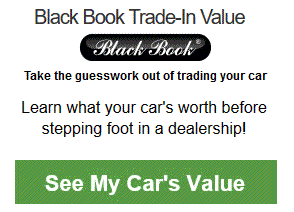 Parking sensors and a backup camera are found on every model. While the 2019 MINI Clubman doesn’t offer modern safety technologies like lane-keep assist, it does give you access to some worthy driving aids. Forward collision warning with automatic braking keeps an eye out for potential obstacles. Meanwhile, adaptive cruise control helps with rush-hour traffic. MINI also offers a head-up display and automatic high-beam control. When behind the wheel, you never know when you may encounter a road hazard. The effectiveness of your brakes is especially important during panic situations. Fortunately, MINI engineered the Clubman with a powerful set of brakes. Even some of today’s sports cars didn’t perform as well during braking tests. You will also appreciate the brake pedal’s smooth operation. Although the 2019 MINI Clubman does not offer blind-spot monitoring, you may not need it. This subcompact car provides impressive outward visibility. Big windows help drivers to obtain a 360-degree perspective of their surroundings. By folding down the rear headrests, you can better see out the back glass. When backing in and out of parking spaces, the rear-view camera will also provide a helping hand. Designed with a total of six speakers, the base stereo system‘s punch isn’t strong enough to satisfy avid music listeners. If you really want to rock while on the road, upgrade to the Harman Kardon premium sound system. Two woofers mounted below the front seats ensure great bass production. This 12-speaker unit’s enhanced sound clarity is well worth the money. The base three-cylinder engine gets the job done. However, it may be just a too under-powered for the Clubman. While this engine feels strong in the more compact Hardtop, the Clubman’s extra bulk causes it to leave some performance on the table. Upgrading to the boosted four-cylinder engine will allow you experience snappier acceleration. You won’t be losing much efficiency. You’ll be paying more than average for the 2019 MINI Clubman. Prices start at around $25,000. If you desire popular upgrades like Apple CarPlay, prepare to pay extra. Meanwhile, the high-output John Cooper Works model has an MSRP of roughly $36,000. Some of today’s high-performance subcompact hatchbacks carry a more affordable price tag. For example, the 2019 Ford Focus ST starts at less than $27,000. If you aren’t very tech-savvy, it’ll take some time for you to grasp the MINI Clubman’s infotainment system. You may also have trouble integrating your mobile phone. Although Apple CarPlay is one the list of options, Android Auto is still missing. Furthermore, the voice controls don’t work very well. The 2019 MINI Clubman‘s list of available safety technologies will fulfill most buyers. However, others will desire all of the latest and greatest driving aids. Blind-spot monitoring with rear cross-traffic alert, driver attention monitoring, and lane-keep assist are absent on the Clubman. Although the Clubman’s ride is not completely jarring, it’s definitely on the firm side. When you drive over broken pavement, expect to feel the roughness. The optional adaptive suspension dampers may help smooth out the Clubman’s ride. When looking for a family-friendly hatchback, be sure to check out the 2019 Volkswagen Golf. It’s spacious and enjoyable enough to keep drivers awake. Prices for the new Golf are also a lot more affordable. However, you can’t get AWD on the standard Golf. In order to get AWD, buyers must choose the high-performance Golf R.
Before you decide to drive home a new 2019 MINI Clubman, first check out the MINI Countryman. It’s larger than the Clubman, which equates to more passenger room. However, don’t expect the Countryman to feel as sporty. Don’t forget to test drive the 2019 Honda Civic Hatchback. Although the Civic Hatchback doesn’t offer all-wheel drive, it’s incredibly entertaining to drive and returns great fuel economy. Honda also offers safety innovations like lane-keep assist and a blind-spot camera. For the price of a Clubman John Copper Works you can get the insanely exciting Civic R.
The 2019 MINI Clubman has its own special niche. While the Clubman handles like a hatchback, it has the functionality of a SUV. Many consider it to be a larger version of the popular MINI Hardtop. Aside from the extra space on the inside, you can also take advantage of the optional all-wheel-drive system. 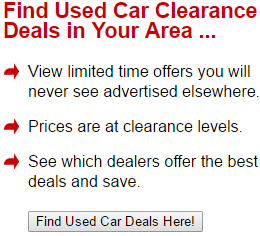 However, be aware of the Clubman’s above-average sticker price. If you stick with the base engine, don’t expect to be wowed by the Clubman’s performance.